A denture is an appliance used to replace missing teeth. 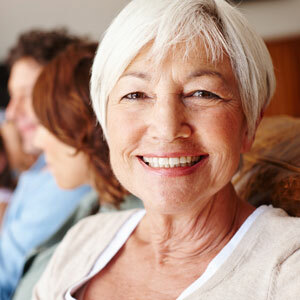 Because of advances in dental technology, today’s dentures are more natural-looking and comfortable than ever before. As there are different types of dentures, talk to Dr Henry about what is of most importance to you. He will develop an approach that suits your needs, crafting custom dentures that are aesthetically pleasing as well as functional. Removable Dentures: An affordable and effective option for the replacement of multiple teeth. Many patients like the flexibility of being able to remove their dentures for cleaning, and while they sleep. Implant Supported Dentures: More stable than removable dentures. In this approach, the dentures are secured to dental implants, which eliminates slippage. Patients treat implant supported dentures just like natural teeth, and can chew, laugh, and talk without the fear of them falling out. New dentures, regardless of the type, may feel awkward or uncomfortable for the first several weeks. Eating and speaking might take a little practice, and a bulky or loose feeling is not uncommon, while the muscles of your cheeks and tongue learn to hold your dentures in place. Excessive saliva flow, a feeling that the tongue does not have adequate room, and minor irritation or soreness are also not unusual. Please tell Dr Henry if you experience any irritation or discomfort. We recommend you visit Red Hill Dental at least once a year for a denture examination. Your mouth naturally changes over time and these changes can affect the fit, comfort, and functionality of your denture. Normal wear and tear may also require your denture to be adjusted or remade.